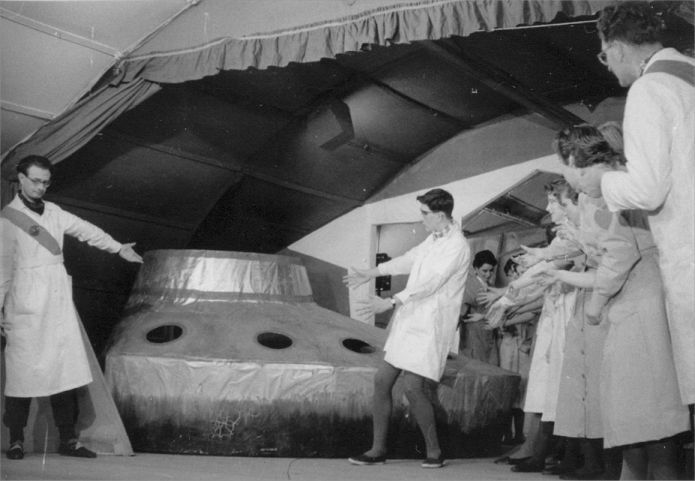 This was the Grammar School's first public performance. The Government Inspector is an hilarious comedy about mistaken identity and council corruption in a small town. The premise is simple. A corrupt Mayor and his officials are alarmed to hear rumours of the impending arrival of a government inspector. Evidently this fellow will be travelling "incognito." Thrown into a panic, the Mayor and his officials desperately struggle to stifle public dissatisfaction whilst deflecting the blame for their many and various misdemeanours onto each other. But who is the government inspector and where is he hiding? He could, of course, be anyone. It is brought to their notice that an apparently penniless rake and his servant happen to be staying at the local inn. Despite the fact that they are unable to pay their bill, this unlikely couple suddenly find themselves being treated like royalty by the sycophantic mayor and his cronies. "The Government Inspector" eventually rides away a good deal richer, having sampled for free the best hospitality the town could muster, including not just the finest food and drink, but also the feverishly competitive adoration of both the Mayor's forceful wife, and his seemingly impressionable daughter! The truth of their dreadful mistake is finally revealed to the town. Finally, just as the humiliated Mayor strives to apportion blame in order to restore some semblance of credibility, the arrival of the real inspector is announced - to the collective dismay of the assembled dignitaries. WYMONDHAM COLLEGE - GRAMMAR SCHOOL. 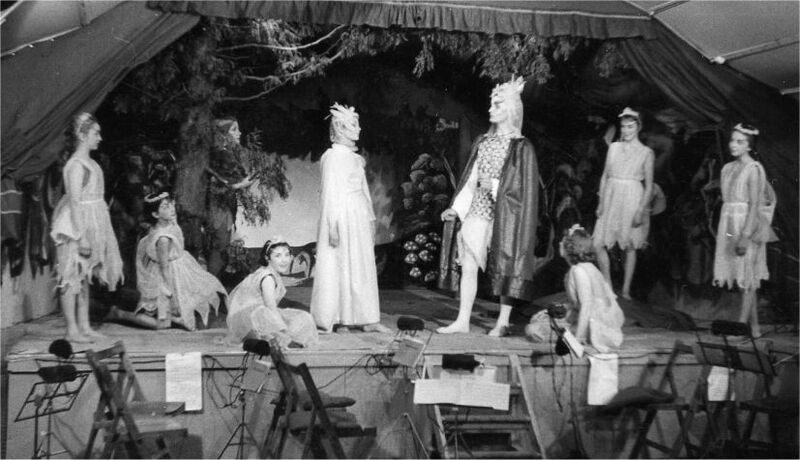 Sets designed by Mr. Freeman and painted by himself and by Raymond Douglas, Dennis Hanwell, Alan Norfolk, Robert Rowell and Derek Woods, all of whom helped in their construction. Lighting by Bernard Westgate and Robert Rowell. 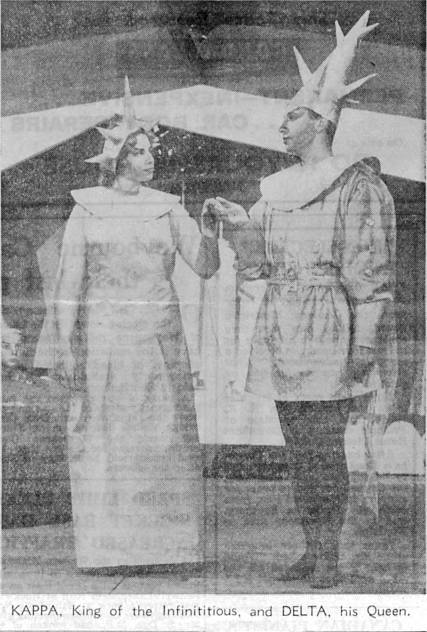 Costumes by Linet Crawshaw, who also loaned the swords. 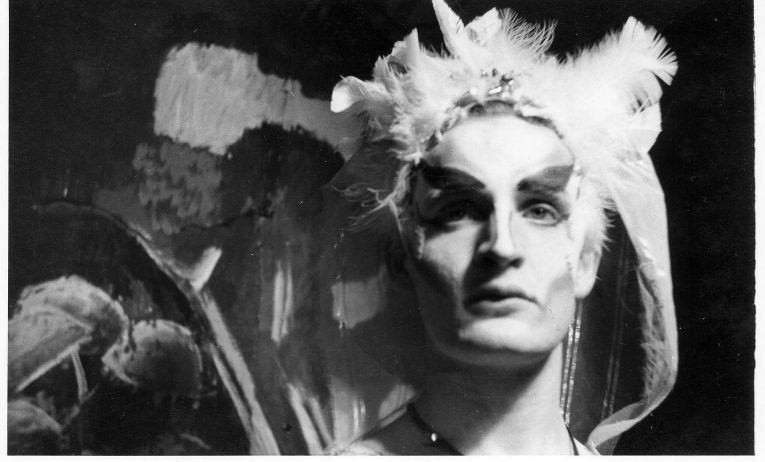 Maureen Arbour, Betty Watling and Pamela Villiers assisted with make-up. 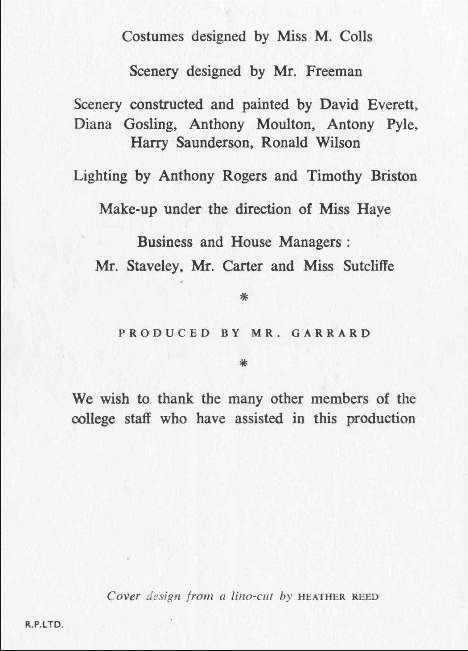 The play was produced by Mr. Garrard. The company wishes to thank all those who have assisted in the production in any way, including those who have loaned various properties and items of furniture. The action of the play takes place in the house of the Mayor of a small Russian Town, and in a local inn. 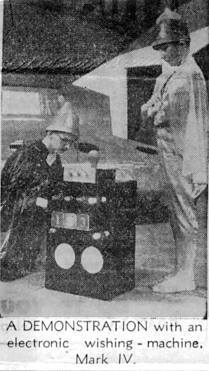 The play was written in 1834, and is a satire on the Civil Service of Tsarist Russia, which included such local officials as are depicted here. There will be an interval of ten minutes. 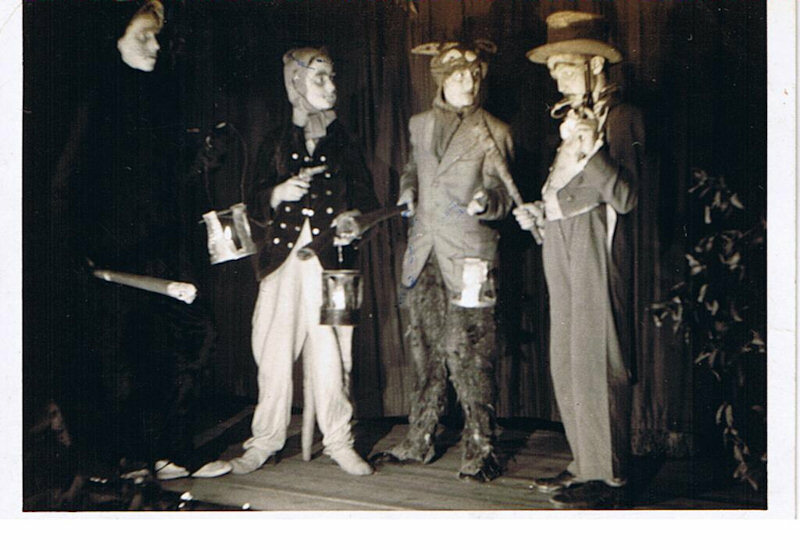 The first production of the Society was "Toad of Toad Hall," which was performed at the end of last summer term, all parts being taken by First and Second Formers. It would be difficult to select any one character for particular praise, but Peter Herring(Toad), Michael Herring(Badger), Robbie Fielding(Rat) and Molly Veal(Mole) played their parts with great success; Molly Veal is to be congratulated on a fine performance, as she took the part at very short notice after Michael Bartram, the, original Mole, developed chicken-pox. 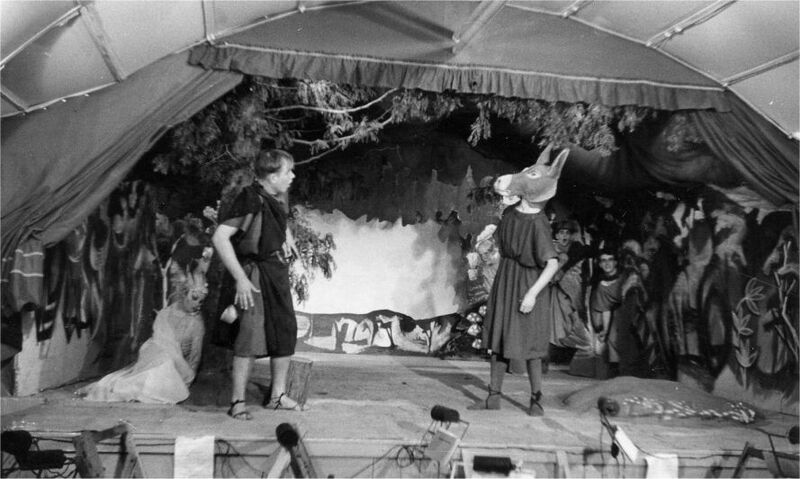 Wild Wooders and River Bankers alike acted with obvious enjoyment, and, aided by music composed by Mr. Reynolds, and settings designed by Mr Lamming, these animals became as real to the audience as the judge and the other humans. The Dramatic Society maintained the traditional Christmas term performance this year with a production of Shakespeare's "Twelfth Night". Rehearsals passed as all rehearsals do amidst a flurry of enjoyment, combined, as the day of our first performance drew near, with moments of anxiety. 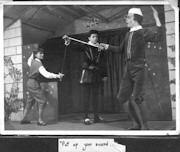 A great deal of the amusement was unwittingly contributed by the violinists, who, under the able leadership of Heather Smith, were slowly, surely, but painfully mastering a composition of Mr. Bailey's, to which the natural sixth form clown, Henry Bull (Feste), had to sing. Our first performance, actually a dress rehearsal, was in front of our own junior school. This turned out to be one big laugh, for the larger ones amongst us looked rather ungainly, to say the least, in Shakespearean tights. The second performance was on a more serious level and meant more to us, as we were performing before outside schools, and our prestige was at stake. The next three performances, one before our own senior school, and two before the parents, who had all been invited, passed without any outstanding surprises, save that we were told of the presence of a reporter from the "Eastern Daily Press". 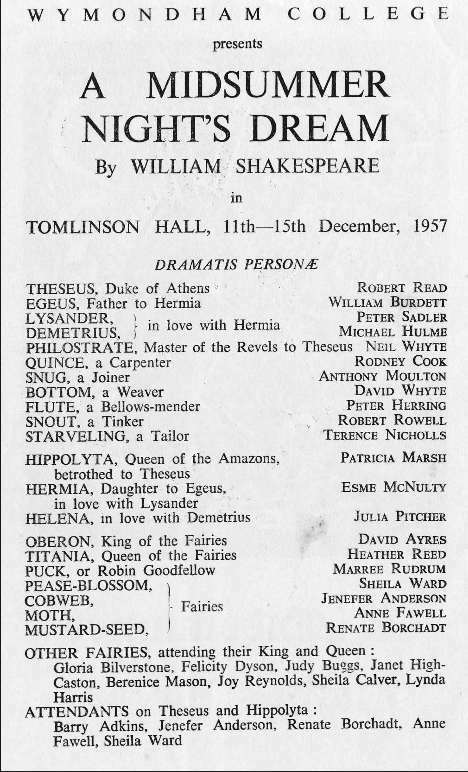 In the press report, which was a very favourable one, Anne Drinkwater (Viola) was praised for her promising acting, and Brian Winn (Malvolio) for his varied antics on the stage. Also mentioned were Stella Carman (Countess Olivia), Anne Thornton (Maria), Colin Stearman (Sir Toby Belch). Neil Whyte (Sir Andrew Aguecheek), Henry Bull (Feste), Jack Cassie (Duke Orsino) and Brian Turner (Sebastian). 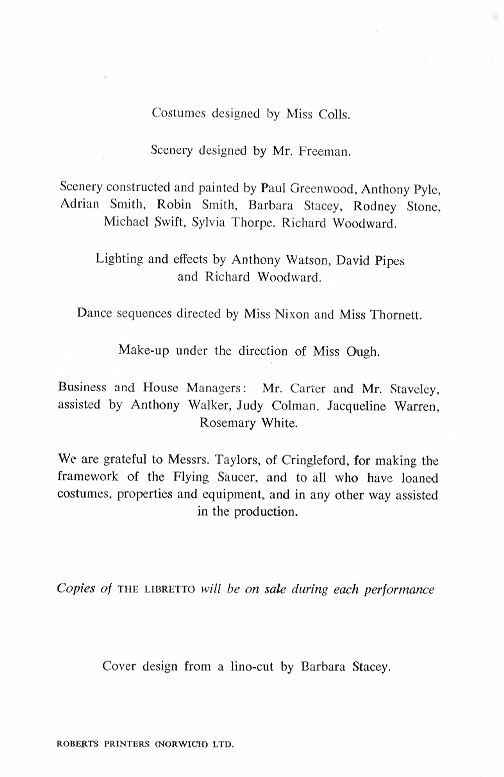 We must not, however, forget all the other members of the cast, nor the back-stage boys, Robert Rowell, Stuart Handley, Alan Fry, Joseph Keddy and John Kirkland, without whom the play would have been impossible. 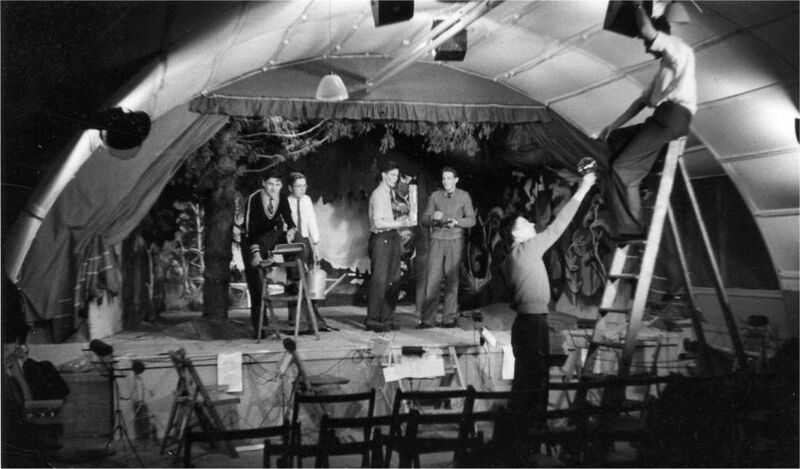 These boys had the sad task of removing the scenery, when nearly all the cast admitted how sorry they were that the play was over and how downhearted they felt to see the stage denuded of its colourful array. Then came news that we were being treated to a show in Norwich, and in an amazingly short time we had forgotten our previous sad feelings. This outing was a great success and we returned wishing we could produce a play every week. We all agree that, although our interpretation of the play was probably not quite as Shakespeare meant it to be, we enjoyed performing in it. 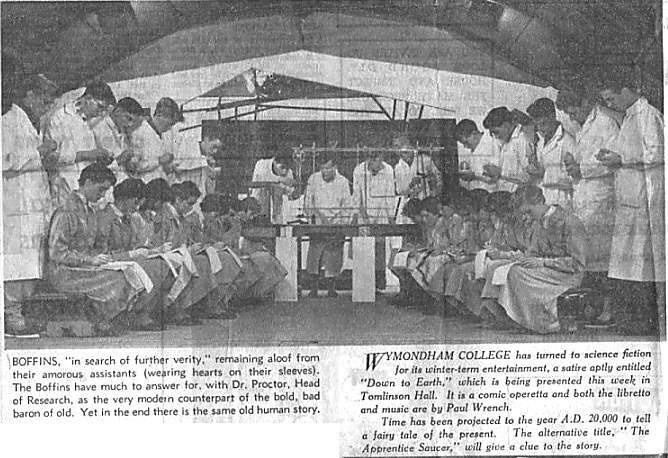 For most of us it was the last play we should be taking part in at Wymondham College, so that there was something special about it that we shall remember for a long time. May we offer a word of thanks to Mr. Garrard, our able producer, who, if one judges from his antics at rehearsal, must have been undergoing some considerable strain during the latter stages of the play's preparation. He retained most of his hair, however, and could not have abused us too badly, for none of the cast deserted him. 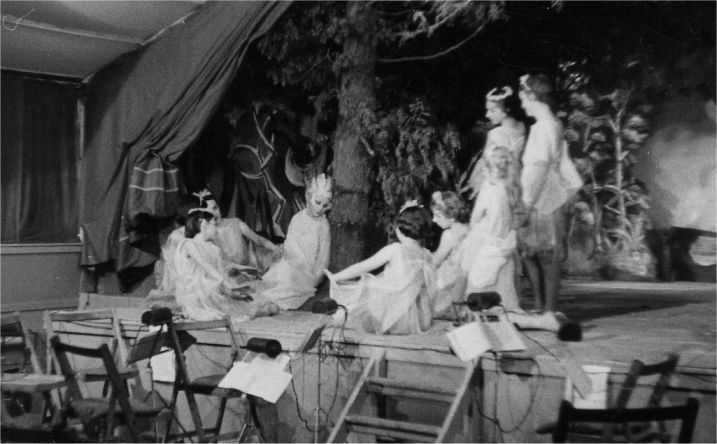 In typical lower sixth form fashion preparations were begun early for the summer revue when a party of scripwriters began to meet just after Christmas. The intentions were good, but, mainly due to the excellent tea and biscuits the girls produced, no scripts were actually written until late in the summer term. 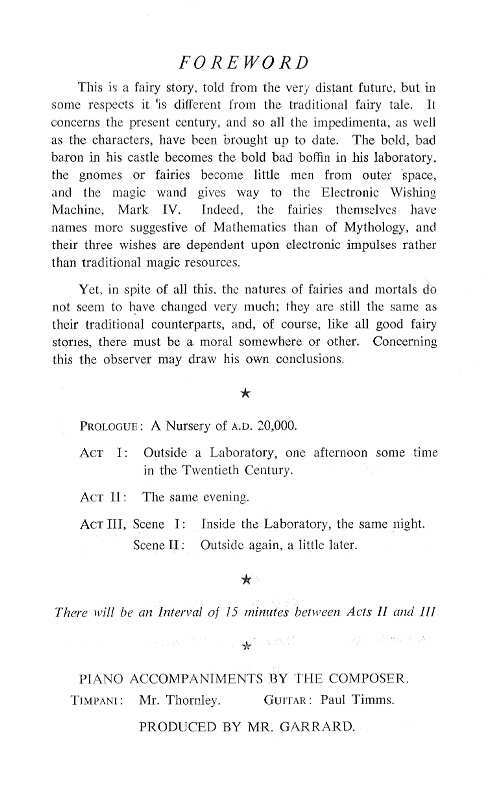 After eight sketches had been written (four of which bore a great resemblance to those in the show "1066 and All That) the scriptwriters began to look around for actors. 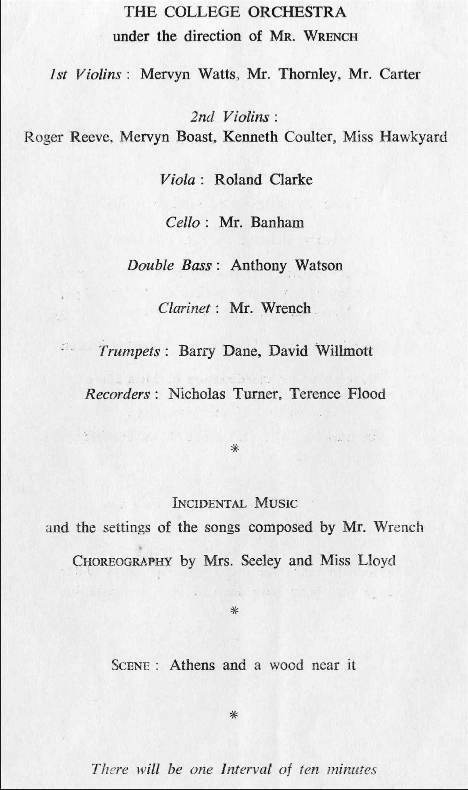 From then until the end of term, every Sunday morning was devoted to rehearsals, although slight confusion was caused by the fact that the "lines" were different each week. For some time Gidney was seen wandering around the college muttering strange formulae and we were rather alarmed when he frequently disappeared under a curtain in Tomlinson Hall. Our curiosity was soon satisfied, however, for after consultations between Gidney and Rogers, the whole cast was introduced to his "Nellie". Mr. Bailey for his farewell performance on the piano; the boys and girls who spent endless hours constructing anything from a saloon bar to a cavalier's outfit; everybody who lent us properties; and the Upper Six Form for the contributions which they made to the show at quite short notice. These first three photos show the 'comedy' members of the cast; Quince, Snug, Bottom, Flute, Snout and Starveling. In our County's traditional way to 'du different' the roles were performed using broad Norfolk, much to the delight of the audiences. Working on the set and lighting. What was the watering can for? 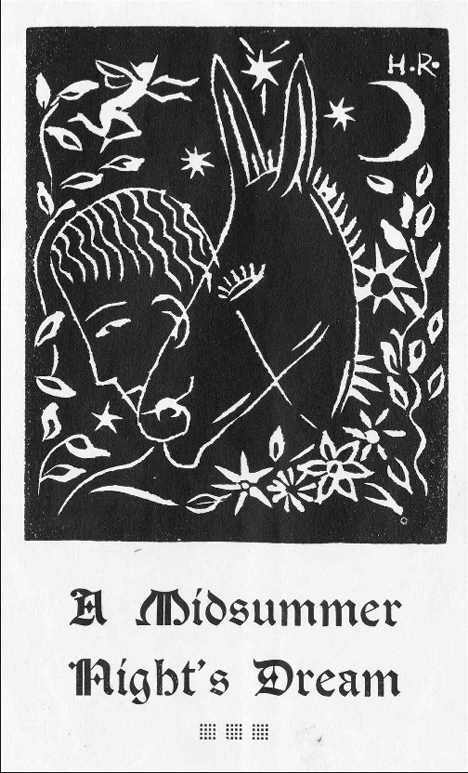 During the Autumn term the Dramatic Society performed Shakespeare's " A Midsummer Nights Dream." 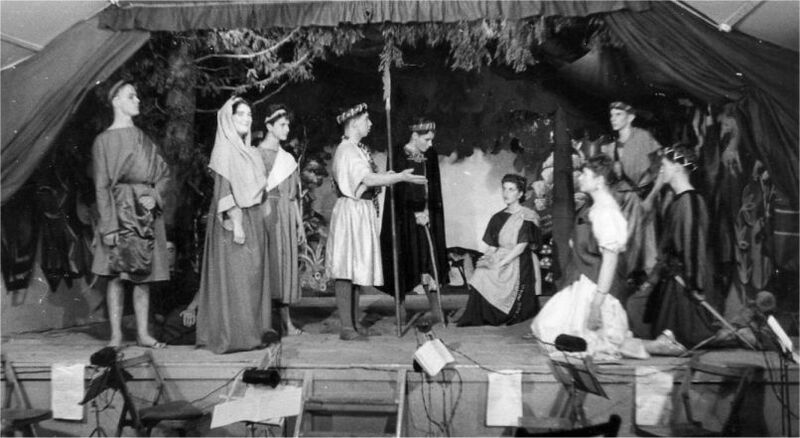 Rehearsals were held twice a week throughout the second half of term. At times, however, these rehearsals became hilarious, thanks to the antics of Bottom in the person of David Whyte. The play was performed in the last week of the term, the Junior School seeing our final dress rehearsal on the Wednesday evening and the Senior School attending on the following evening. The response of those audiences encouraged us on the Friday evening when we presented the play to a distinguished audience. 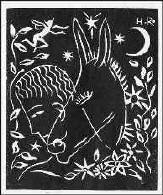 We received a good Press report, with special credit going very deservedly to Marree Rudrum for her excellent interpretation of Puck. 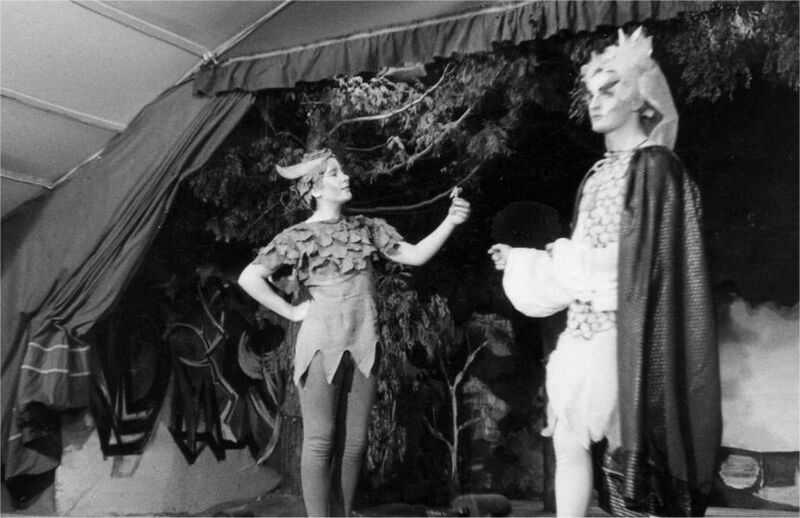 Also praised were Helena (Julia Pitcher), Bottom (David Whyte), Titania (Heather Reed) and the remaining "rustics." A group of Fairies from Junior School gave an ethereal touch to our performances. The College Orchestra contributed in no small measure to the success of the venture with some delightful incidental music. We record our thanks to Mr. R. Garrard, our producer, for all his untiring efforts to secure the success of the production; to Mr. Freeman for the scenic effects; to Miss Haye for her transformations in the make-up rooms; to Miss Colls, the wardrobe mistress; and last, but by no means least, to all those people who contributed in various other ways. 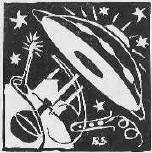 Space Fairy: "I've told you before not to eat a Mars while we're going down the Milky Way!" 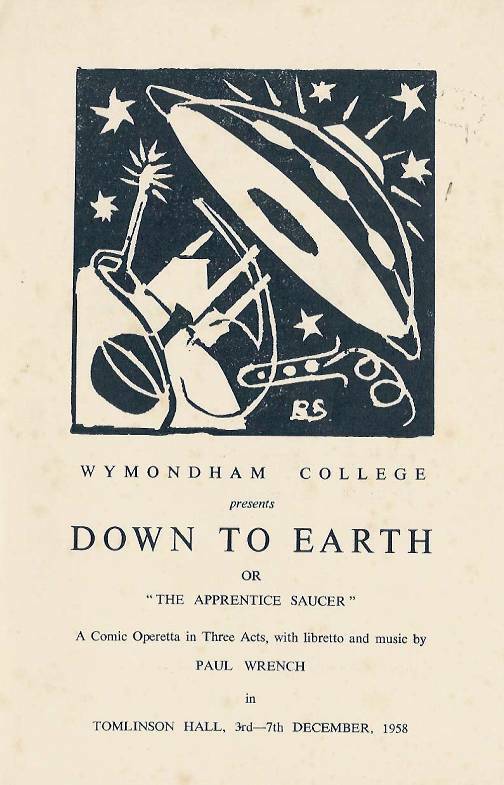 At the beginning of the Autumn term, rehearsals began for the Christmas entertainment, Mr. Wrench's second opera, "Down to Earth". After being charged to secrecy, members of the Senior and Junior Choirs received copies of the words and music. 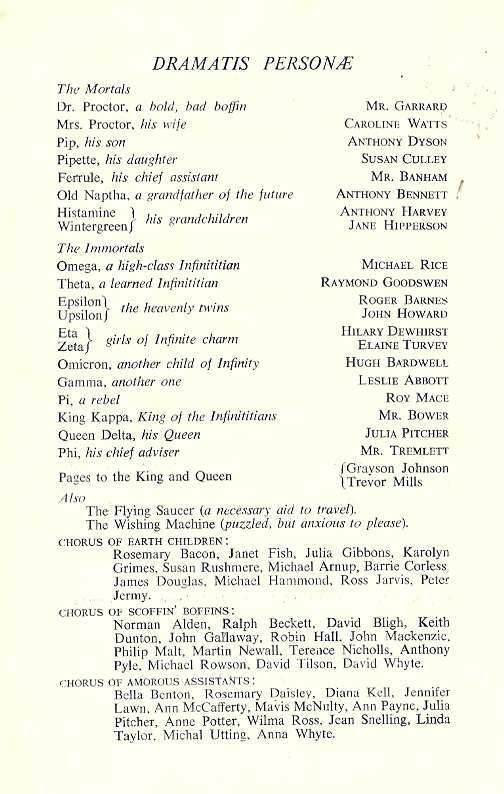 Four members of Staff took parts in the opera; Mr. Garrard as the "Bold Bad Boffin", Mr. Banham as Ferrule, his chief assistant, Mr. Bower as King Kappa, with Mr. Tremlett as his chief assistant. 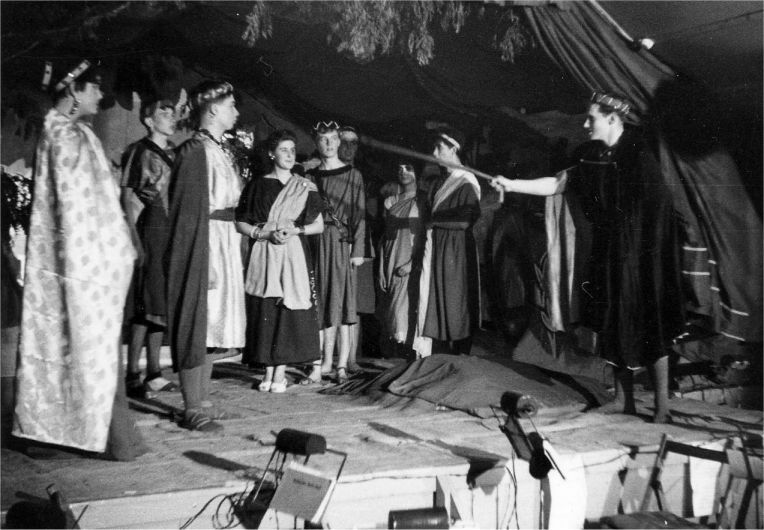 In all, six performances were given, the first to the Senior school, the second to the Junior school and the remaining four to the general public and the Governors of the College. 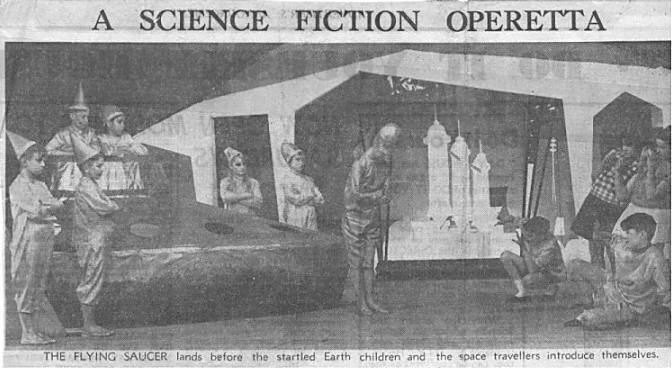 A very favourable press report was given and extracts from "Down to Earth" have been broadcast on the radio. Much of the success of the undertaking was due to Mr. Staveley and Mr. Carter who organised the seating arrangements. Miss Nixon and Miss Thornett who helped with the dance sequences. Miss Ough who directed the make-up, Mr. Freeman and Miss Colls who organised the scenery and costumes, and Mr. Garrard, the producer. We also thank all those who helped in so many other ways. Last, but, of course by no means least, we record our particular gratitude to Mr. Wrench whose efforts resulted in so much enjoyment for performers and audience alike.